Fruity and flavoursome, our wine selection is inspired by nature. Where possible we prefer to use local produce - berries, blossoms, fruits, leaves and even tree sap! We like to think that our wine is a little bit special, and not just because of the carefully selected ingredients. The winery is a family-run business and our wine is produced on a relatively small scale, with every batch tasted and approved by the family before it is sold. Our website has a bit more information about the winery, as well as dates for upcoming events and Farmers Markets. If you would like any more information please get in touch. The picture below shows Foster Ross the proprietor of Glebe House Winery. 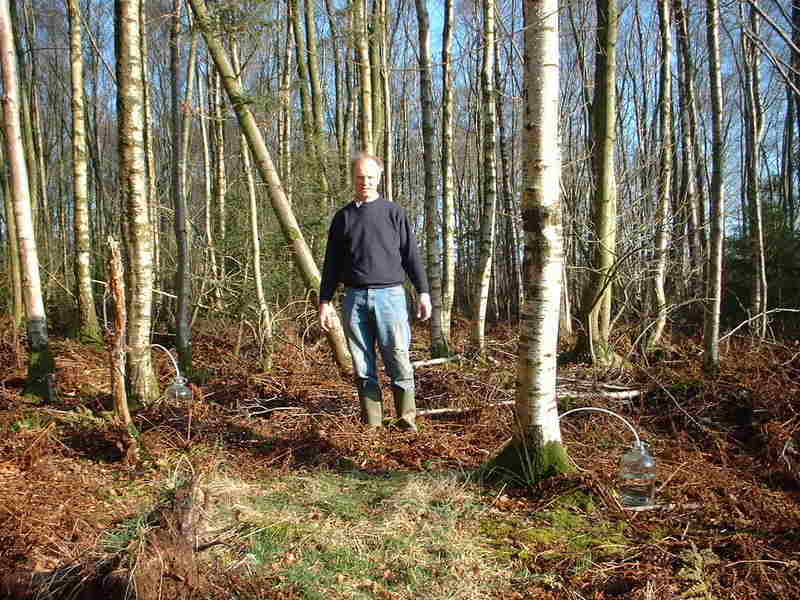 During early spring Foster can be found in the wood harvesting sap from the silver birch tree to make birch wine. Traditionally this is the first wine we make each year and can be thought of "springtime corked" for your enjoyment.